This summer, the Honolulu Museum of Art presents Georgia O’Keeffe and Ansel Adams: The Hawai‘i Pictures, the first exhibition to feature in dialogue work created in and about Hawai‘i by these two American masters. The exhibition includes a selection of painting associated with O’Keeffe’s 1939 trip to Hawai‘i to create illustrations for print advertisements for the Hawaiian Pineapple Company (now the Dole Company). 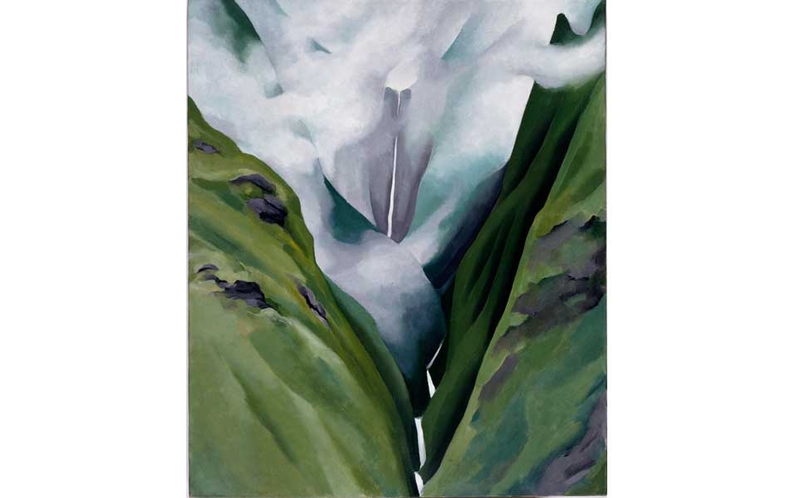 During her two-month stay, O’Keeffe visited O‘ahu, Maui, Kaua‘i, and Hawai‘i Island, painting dramatic coastlines, volcanic terrain, traditional tools, and exotic flora. 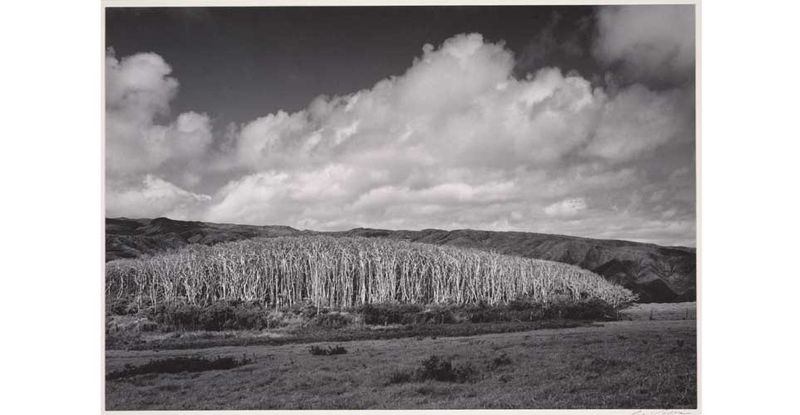 Adams’s photographs of Hawai‘i were also the result of a commission. He first visited the islands in 1948 to take photographs for a series on national parks for the Department of the Interior, and returned in 1957 for a commemorative publication for Bishop National Bank of Hawai‘i (now First Hawaiian Bank). The exhibition travels to the Georgia O’Keeffe Museum in February 2014. Document Hawaii: View artistic student responses to the exhibition here. Enter our Ansel Adams Instagram contest! : Inspired by Adams' photos of Hawai‘i? Share your own black-and-white shots on Instagram. Submissions accepted through Nov 17. The Georgia O’Keeffe Museum, Barney Ebsworth, First Insurance Company of Hawaii, Patrick and Edeltraud McCarthy, and the National Endowment for the Arts. The museum is grateful to a group of women supporting the exhibition: Linda Ahlers, Diane Chen, Elizabeth Grossman, Priscilla Growney, Violet Loo, Linda Nichols, Judith Dion Pyle, and Sharon Twigg-Smith.